You have ten days to request a Court date if you wish to contest your ticket. Complete the form to the right and click submit. You will receive a confirmation email once the request is submitted. You do not need to call the Court to inquire about your Court date if you have received a confirmation email. You will receive your Court date (printed on a postcard) in about two weeks. The postcard will be sent to the address provided on the form to the right. Court dates are set according to the Court and officer schedules. You should expect your Court date to be approximately 3-4 weeks from the time you receive your postcard. Once the date is set, that day and time is reserved for you, Court dates will not be rescheduled. If you are assessed a fine, payment is expected in full immediately following the hearing. Cash, checks, debit/credit are accepted, however cards require a 3.5% service fee. If you have a previously scheduled conflict (vacation, final exams, etc.) that may occur around the time of your court date, please provide that date on the form so that we may take that into consideration before scheduling your court date. All civil infractions may be paid on or before the appearance date, either in person or by mail. This is NOT your hearing date. If you wish to contest the ticket and request a hearing you must do so either by phone, mail, or in person on or before the appearance date. 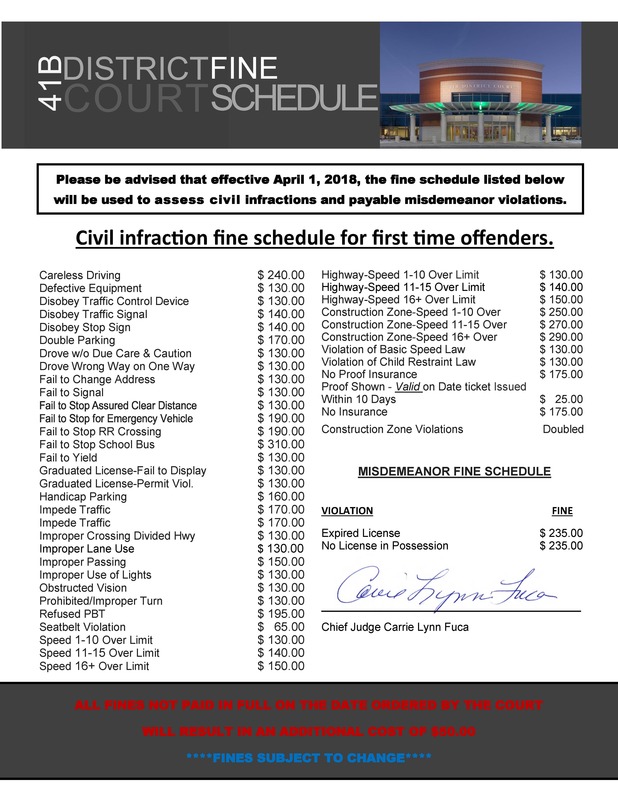 If an officer verifies on your copy of the ticket that the violation has been corrected, you must bring or mail your signed copy of the ticket to the court within 10 calendar days from the date the ticket was issued. Failure to submit the corrected violation will result in further penalties, which may include the issuance of a bench warrant and/or the suspension of your driving privileges. We accept money orders, checks, cash, and credit cards. Fines are doubled in school and construction zones. Defendant may admit responsibility with an explanation. They would make a copy of their permit and write a letter to the Magistrate. All three are to be sent to the court. Make sure the back of the ticket is signed where it says admit responsibility with an explanation. Or, they can set a court date or just pay it. Defendant may pay, set a court date, or admit responsibility with an explanation. When admitting with an explanation defendant must sign the back of the ticket where it states admit responsibility with and explanation and date. Then write a letter. Mail both the ticket and letter together to the court.